4th of July Fireworks Show Screen Saver - Celebrate this 4th of July by watching a spectacular fireworks display right on your desktop! 4th of July Fireworks Show Screen Saver displays an impressive fireworks display of colors, lights, and sound effects over a virtual city. 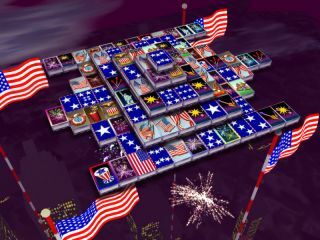 4th of July Fireworks - Enjoy your own personal fireworks display right on your desktop. 4th of July Fireworks is an impressive showing of lights, color and sound delivered to your computer any time of day or year.